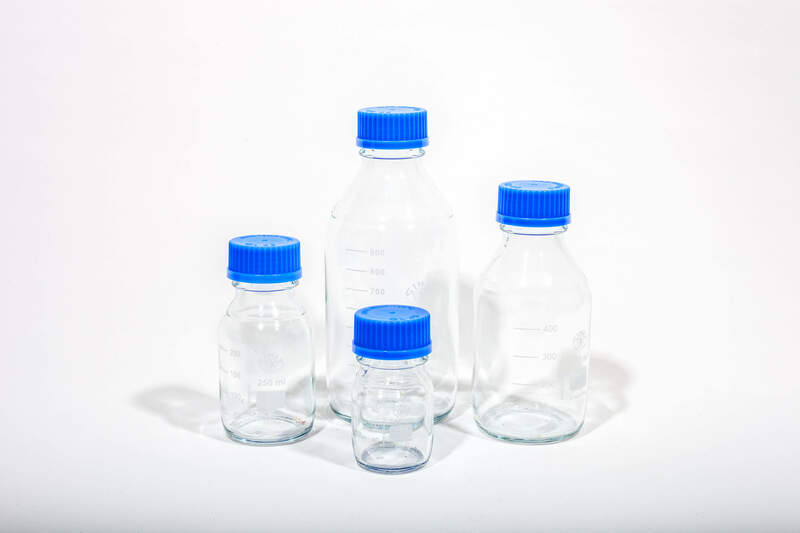 Laboratory reagent bottle in clear glass. Made from borosilicate glass 3.3 (same physical properties as Pyrex). GL45 thread with blue cap & pouring ring. Cap & pouring ring are heat resistant to 140°C. ISO 4796-1. White graduation marks.